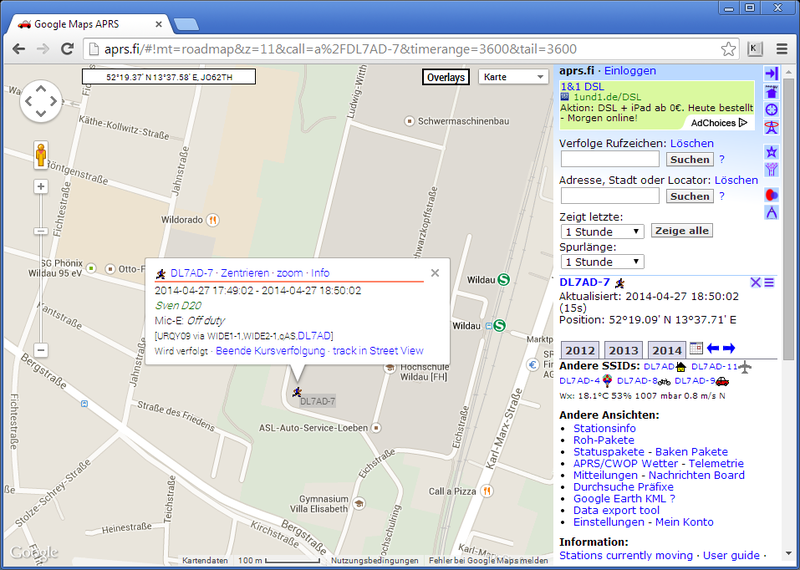 This short description shows how to set up an APRS Internet Gateway using MULTIPSK. 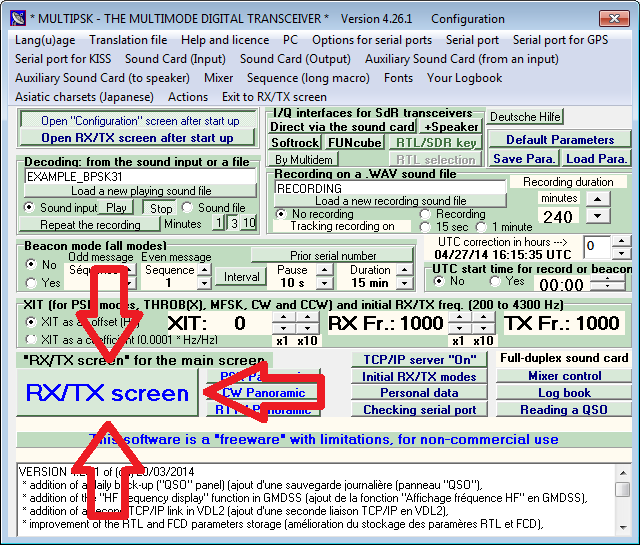 MULTIPSK is an audio decoding software, which is able to decode many different modes. We are gonna using it for APRS decoding just with a simple FM receiver. 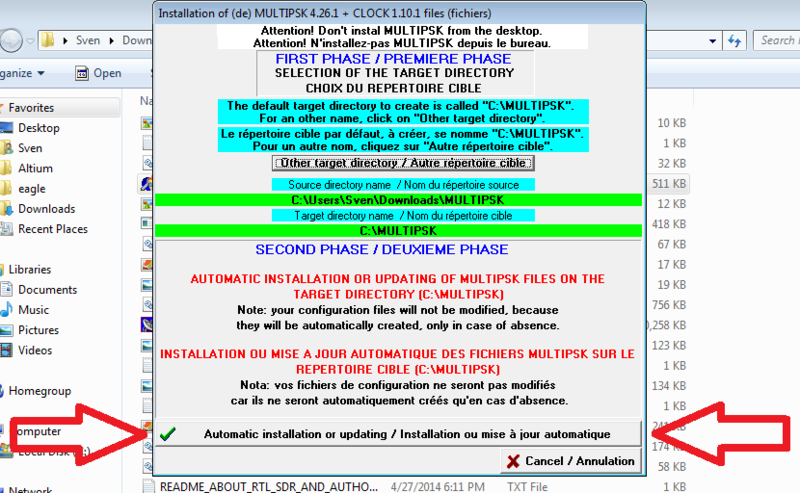 Unfortunately MULTIPSK is build for Windows only. If you're running Linux just try to use it with Wine. There are some notes about how to use it with Wine in the Readme. First of all we need the current build of MULTIPSK. You can download it here. You will get a bunch of files in the folder you must extract. The installation is done by the file INSTAL.exe. It will open the installation window. Just hit the button with the green tick. Everything else is done automatically. After the installation took place, the installation wizard closes itself and MULTIPSK will start automatically. Don't care too much about all these options. We are not going to need them. Just press the RX/TX screen button and the actual program will open. 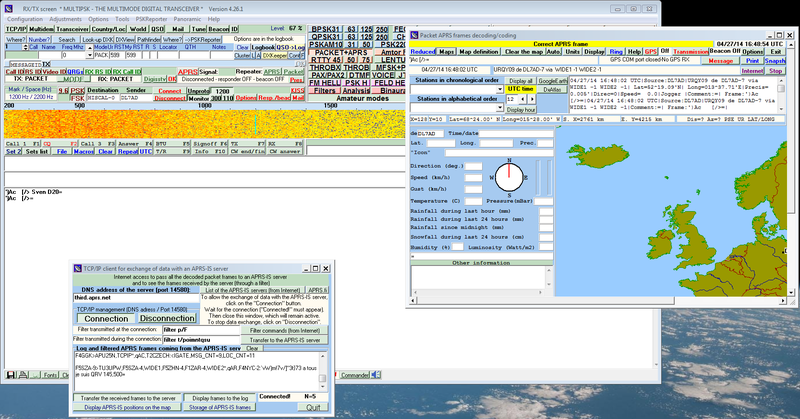 An unnecessary window will open with the title “QRGs” is pushed, so frequencies for this mode are displayed: Just close it. We don't need that stuff. After doing Step 4, a new window will open. Just click the button Internet and another creepy window will open. After pressing the connection button, a bunch of data will appear in the log textarea. That's the sign for that everything is working correctly. IMPORTANT: Don't close any window! You will then disconnect your APRS-IS connection and won't relay any packets to the internet! 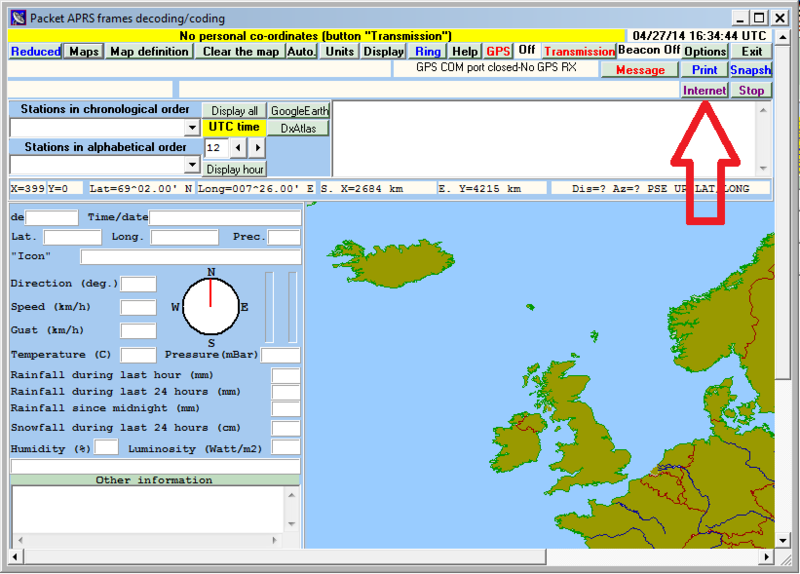 and of course on APRS.fi.